New York City serves as the port of entry for about 17% of all international tourists arriving in the United States. And, as a historical landing point for countless immigrants seeking a better way of life, it seems like the best place to start on a cross-country tour of America’s top destinations. But, you’ll find so many New York attractions in the city that it can become difficult to prioritize them. So, what’s the one New York tour that every visitor should take? Well, picking up some Statue of Liberty tickets represents your one chance to get off the island and see New York from a different perspective. Witness the Manhattan skyline reflected in the waters of New York Harbor. Land on Liberty Island and walk right up to the feet of Lad Liberty. And, if you’re feeling plucky, tack on a trip to Ellis Island for an eye-opening look at America’s immigration history. Every other New York attraction can be reached by land. It takes less than 3 hours to fly from New York to Chicago, making the Windy City a simple and painless stop during a coast-to-coast tour of America’s top destinations. Plus, as a port city on the shores of Lake Michigan, Chicago has risen to the ranks of other global metropolises. Its towering skyscrapers, vibrant nightlife, and world-famous museums draw tourists from across the globe. And, if you want to get sky-high in Chi-Town, there’s only one place to go! Ascend 94 floors above Chicago’s city streets to the top of the John Hancock Building with 360 Chicago tickets! Providing unparalleled views of both the Chicago cityscape and Lake Michigan, 360 Chicago allows you to relax at a modern bar and café while looking down on the local worker bees scurry to their respective office buildings. And, for a shot of adrenaline, you can take a ride on Tilt, an enclosed platform that slides out and tilts you out over Michigan Avenue. It’s what to do in Chicago when you want the best views of the city. After about a 5-hour flight from Chicago, you’ll probably want to get some beauty rest in Los Angeles. And, as your final stop on this tour of America’s top destinations, you’ll need to look your best if you want to get noticed by some top Hollywood executive. But, assuming that’s not a priority for you, just throw on a hat and some sunglasses before stepping out to enjoy everything Los Angeles has to offer. But, what if you could only choose one place to visit in L.A.? Which Los Angeles attraction is considered a must-see? Hollywood remains the main reason most people visit Los Angeles. The Hollywood Walk of Fame, TCL Chinese Theater, Hollywood and Vine, and much more are all within short walking distance of each other. 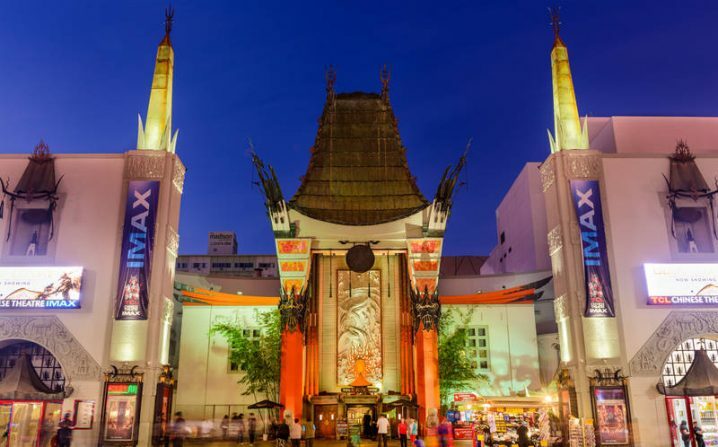 Find your favorite actor’s star on the Hollywood Walk of Fame, take in a play at the Pantages Theater, or take a tour that allows you to get as close to the Hollywood Sign as legally possible. And, of course, you might want to spend a day at the original Universal Studios Hollywood before you fly back home. Hey there! What are your favorite attractions in each of America’s Big Three? Let us know in the comments!